A 43-year-old housewife, Titilayo Akaba, on Thursday asked a Badagry court in Topo Garage to dissolve her marriage to Maselin Akada, whom he accused of being a habitual gossip and a liar. 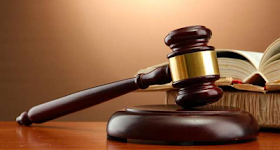 Titilayo, a food vendor, who resides in Baale Street., Torikoh, Badagry, in her divorce petition, told the court that she had spent the night in police custody because of her husband's lying habit. "I met Maselin in 1997 and we both got married without my parents' consent because he was 30 years older than me. "He did not pay the dowry and I have three children for him." He did not give me peace and talks too much at his age. "Maselin will be rolling on the floor, crying because I have stolen and hidden his documents while he lies. "My husband went to the Area K Police Command in Morogbo to inform me that I sent hired assassins and badoo children to kill him. "They transferred the case to the Badagry police station, where I was detained for 24 hours for what I did not do. "My lord, I do not have the rest of my mind under the same roof with this man, he is a liar," he said. Titilayo pleaded with the court to grant him custody of the three children, and alleged that Madelin was older and had vision problems. The defendant, however, was not in court. The president of the court, Mr. Sakirudeen Adekola, adjourned the case until October 9 for a new hearing.